If Ireland’s champion trainer Aidan O’Brien needs any reminder of the scarcely credible season he has enjoyed in 2016, then Monday’s Horse Racing Ireland celebration of the Irish Flat season may have provided him with just that – an opportunity to reflect on exactly what the Ballydoyle team have achieved in a year in which he has left other trainers toiling in his slipstream. There he collected the Flat Award, as well as seeing his five-time Group 1 winner Minding crowned Horse of the Year at Ireland’s season ending ceremony. This 2016 campaign has seen Ballydoyle collect a remarkable 22 Group/Grade 1 victories, and record an unprecedented 1-2-3 in the Prix de l’Arc de Triomphe – thanks to Found, Highland Reel and Order Of St George. Whether O’Brien himself has had time for his achievements to sink in and allow himself a small pat on the back is another matter. His habitual stance is to deflect any credit from himself and instead to pay tribute to the unstinting efforts of all those who make Ballydoyle such a formidable team. His outstanding run of success may not be over yet. The HK$83 million LONGINES Hong Kong International Races offers the stable further opportunities to add to its remarkable season, when Highland Reel defends his crown in the HK$16.5 million G1 LONGINES Hong Kong Vase (2400m), and Cougar Mountain contests the HK$23 million G1 LONGINES Hong Kong Mile. Highland Reel has been one of the stable’s flag bearers in 2016 with G1 wins in the King George VI and Queen Elizabeth Stakes (2400m) at Ascot and the Breeders’ Cup Turf (2400m) at Santa Anita, not to mention that highly creditable second in the Arc, and on Sunday this remarkable traveller will be making his 20th career start and his 15th outside his native Ireland. His is an odyssey that has seen him run in England, France, the USA, Australia, Dubai and now Hong Kong for a third time. In flying distance he has circled the globe three times. 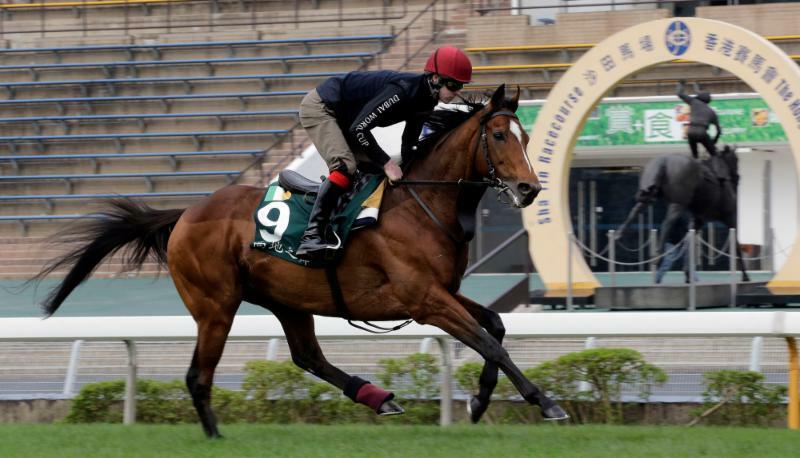 Looking ahead to the HKIR on Sunday, O’Brien said of the LONGINES Hong Kong Vase favourite: “Highland Reel is a very good colt, we know that. He has tactical speed, he stays, and has everything you could want really. He’s been a good traveller from early on in his career, he relaxes, he’s adaptable, he doesn’t overthink situations. Aidan O’Brien, with his son Donnacha, who has the ride on Cougar Mountain on Sunday, is scheduled to arrive in Hong Kong on Saturday, happy to be on hand for the final act of the drama of his truly remarkable season.